There are millions of people around the world who would class themselves as horse lovers, whether they’re into horse racing, training or just fans of horses in general. Many of us have had to rely on the internet to stay up to date with the latest goings on in relation to horses; be it the latest news from the horse racing industry or the latest bit of kit to improve caring for horses. Now everyone can stay up to date on the move and get closer to the action thanks to the various apps designed for horse lovers. EQ Stable, developed by Zoetis, is the must have app for keeping in-depth records of horses. As a horse owner you’re able to create a profile for each individual horse and this allows you to track everything from the horses age right through to it’s medical background. There’s also the option to log when the horse has exercised, as well as a calendar so you know when the vet it due for example. It’s a really in-depth app but it’s precisely what you need if you want to keep perfect records. As a horse lover, do you know a horse’s body down to the minute detail? Well, with Horse Anatomy: Equine 3D you can. The app developed by Real Bodywork is truly stunning and extremely detailed, giving the user a 3D view of everything inside the horse’s body such as muscles, ligaments organs and bones. It’s a great interactive experience and can help to improve even an expert’s knowledge of horses. When you own horses or look after them, or simply have a keen interest in them, it’s vital to stay up to date with the latest news from the industry. This could be the latest equestrian health information, nutrition tips and general advice. Saddle and Stirrups is an on-line publication that can deliver all of this direct to your phone, with experts and professionals the ones doing the talking, meaning you’ll never miss a trick. 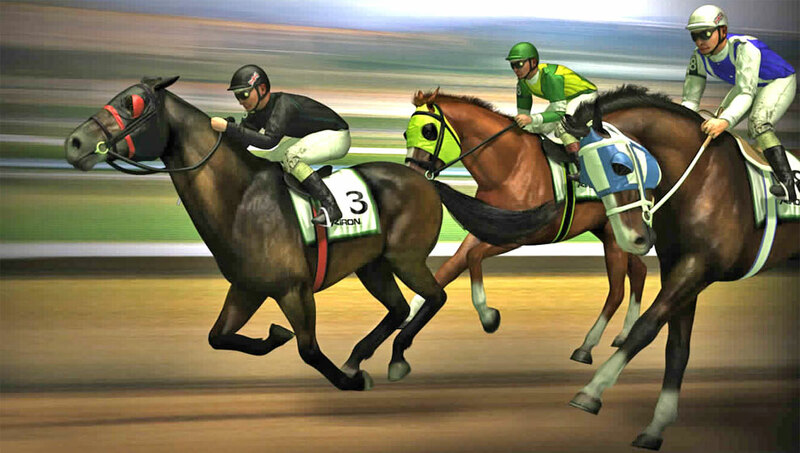 If you’re more into horse racing, you’ll more than likely want an app that is perfect for placing bets on. Well, look no further than the brilliant Unibet app which has everything you need for betting on horse racing and more. It covers races from all over the globe, offers great prices and there are plenty of features such as live streaming. The app itself is easy to navigate and it looks great, which is always a bonus. The Racing Post is one of the biggest names in the horse racing industry, no matter where you are in the world. Their app is packed full of all the tools you need to ensure you get as close to the horse racing action as possible, while also giving you a better chance of winning if you fancy a flutter. Fast results, form, the latest news, live streaming, expert tips, in-depth cards and free bets are just a handful of features on offer in what really is the app of choice for horse racing enthusiasts.